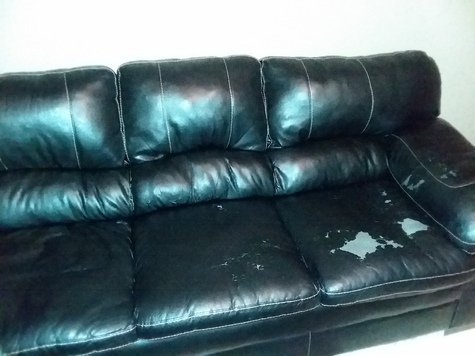 Black leather sofa and love-seat for sale. Sofa is a little beat up, but love-seat is in good condition. Selling both for $60 (together not separately). Have to pick items up, will not deliver.